Cell phone spyware has become one of the greatest threats to the privacy of your mobile data and the functioning of your mobile phone. Unbeknownst to many users, these apps are able to access your text messages, e-mail, call history, location, and can also record your voice calls in some instances. Today, these apps can easily be installed on your phone without your consent or, more often, you install them without knowledge of all of their functions. That said, knowing about the presence of spyware and how to remove it is important for all end users. 1. Sudden Restarts and Shutdowns. Usually, your phone should only start or shut down when you command it to do so. However, when it reboots or shuts down without your command or authorization, there is the possibility of spyware in it. Much like installing PC software, installing applications that can affect the command and control of your system may require a restart. This should not be the case with mobile devices following app installations, though, and is a red flag. 2. Sudden Changes in the Battery’s Life-Span. For years, spyware has been known to drain the battery of your phone severely. If your phone’s battery suddenly starts running down faster than it used to, it may not be due to the age of the device’s battery or heavy usage over time. This may be an indicator of spyware if there are no changes to your usage patterns or amount of apps running in the background. 3. Background Noise in Calls. Some mobile spyware has features that can listen to and record your calls. As a result, you may be able to hear strange voices or unnatural noise as you talk using your phone. It’s nice to use another phone and test whether it is a network problem. If it’s only your phone that displays this behavior, or if it is happening consistently on calls, then spyware could be present in your phone. Although this is slowly changing, some spyware sends logs to and from your phone and uses up your data in the process. This kind of software usually directs your phone to other strange websites when you are using data or are on a Wi-Fi connection. It can be hard to spot the change in data usage today because the apps have been modified to use smaller amounts of data, but nevertheless, you could still detect it if you are keen enough. Having apps running or refreshing in the background can also use up data unintentionally, whether it is from spyware or not. 5. Strange Messages and Notifications. Some spyware uses text messages to send command features to be configured on your phone. These messages usually contain strange symbols and numbers; this is a sign of spy software on your phone. If you’ve detected or have reason to believe there is spyware on your phone, it is prudent to remove it immediately. Here are ways you could remove that spyware. Look at your device’s dashboard and find a way to uninstall it. Some apps may be hidden, without icons, or are otherwise hard to find, so it is good to seek the help of professionals if you are in doubt. 7. Update Your Phone’s Operating System. Updating your phone to the latest operating system can help you get rid of the spyware on your phone. This may patch the exploit the spyware is using or reset the app authorizations. However, you should be sure to backup your most important data before doing this. 8. Reset to Factory Settings. This is a drastic measure, but extremely useful. It involves resetting your phone back to factory settings, often termed a factory reset. In virtually all mobile operating systems, this can be found in the device’s settings. Unfortunately, while it will get rid of the spyware, it will also remove everything else on your device. Noting your essential apps and backing up your data is crucial for this solution. 9. Manually removing the affected files. If you are aware of the specific files that were installed, manually removing them is an option. This requires you to be keen, as you can easily delete the wrong files; the software is usually hidden and hard to find just by a quick look at your applications, and likely won’t have ‘spyware’ in the file names. Take your time and monitor the exactly affected files to ensure that you delete the correct files if you opt to use this solution. 10. Remove the Jailbreak (iPhones). Jailbreaking an iPhone allows users to install third-party applications and modifications, as well as access the iPhone’s file system. With this, the security of having all applications vetted by Apple is bypassed. Removing the jailbreak requires you to update the operating system, but the files may still remain if not uninstalled via Cydia first. Like other phones, remember to backup your data and update the iPhone operating system through iTunes. If so desired, the device can always be jailbroken again in the future. In conclusion, users can avoid spyware through diligence in granting application permissions and installing apps. Likewise, they can prevent installation of these apps by other people by using password locks, and tell when it is present through indicators. For the more tech-savvy, several sites such as securitygladiators.com can keep users up-to-date on the latest trends in malware and spyware. 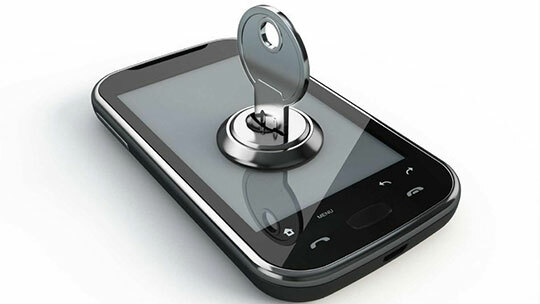 However, in the event your mobile device gets infected with spyware, the steps above can assist in getting rid of it. Our phones are hacked even my WhatsApp etc and spycam has been put inside from outside. I don’t know how they are watching us continuously. We know who has done it. Factory reset done, nothing happened. What should I do? Thank you so much. All this information is extremely helpful. My Facebook was hacked and I had to change all my passwords. Somehow spyware is on my phone and the only way I can remove it is by using the ‘factory default’ option. I’m going to do that now. Thanks again.